White paper poster. Top left corner shows a red cross with the words "British Red Cross". Below this and centre reads "Child Protection Policy, what you need to know". Beneath is a guideline description of how to spot the signs of child abuse and what actions should be taken. 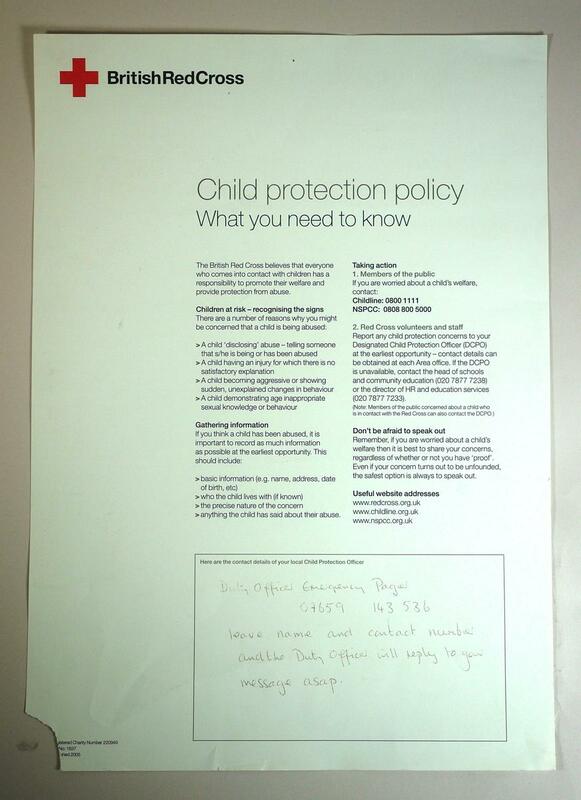 At the bottom of the poster is a text box in which information has been hand written regarding contact details for the local child protection officer. Plain reverse.